Over the weekend my husband and I saw the movie Christopher Robin on a date night. We both enjoyed this movie and thought the story line, acting, and voices were great. I would recommend this movie to older kids (maybe 8 and up), teens, and adults. It’s clean and rated PG for action. I’m sure it’s fine for younger children who enjoy live action movies and are okay with Winnie the Pooh and his friends being live stuffed animals. If they like Paddington, I’m sure they’ll like this Winnie the Pooh. 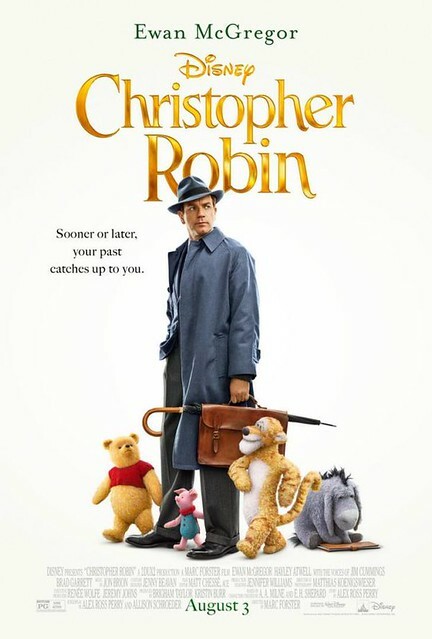 This movie stars a favorite actor of mine, Ewen McGregor, as Christopher Robin, and the voice of Eeyore was easy to recognize as Brad Garrett from the tv show, Everybody Loves Raymond. I thought he did a fine job voicing Eeyore. We did not find this movie “dark” even though it was a bit serious. We thought this movie was filled with heart and we enjoyed the humor. The story begins with a young Christopher Robin saying goodbye to his Hundred Acre Wood friends just before he goes off to boarding school. Fast forward and we see Christopher Robin with a wife and sweet daughter. He’s the typical father juggling his job and family life. I don’t want to give too much of the plot away. Christopher Robin still needs Winnie the Pooh and Winnie the Pooh still needs Christopher Robin. When the two reconnect there is some fun humor as little mishaps occur. I was so excited to see this movie, having grown up with the wonderful stories of Beatrix Potter. My sons, ages 25 and 15, accompanied me, and we were all laughing aloud all the way through. I found this movie to be highly entertaining, fast-paced, funny for both kids and adults alike, and simply delightful. It was family friendly and well done. 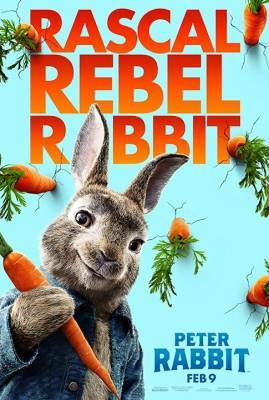 Peter Rabbit teams up with his sisters, Flopsy, Mopsy, and Cottontail, and their cousin, Benjamin Bunny, to give Mr. McGregor plenty of high jinks to combat as they battle over the McGregor garden. What I loved was the addition of McGregor’s neighbor, Bea. You can guess who she represents. There were also appearances made by other story book characters such as Mr. Jeremy Fisher and Mrs. Tiggy Winkle. The only negative I can see about this movie is the “food allergy scene”. This was a fighting scene where the rabbits launched a blackberry into McGregor’s mouth, knowing he is allergic. He then has a reaction and has to give himself a shot. I can understand why some parents are unhappy with this scene. If I had younger children I would use this as a point of discussion. On another note, though a bit related, I have never seen the movie, Miss Potter. If any of my readers have seen it, I’d love to hear what you thought of that movie. Over the weekend, we saw the movie Cars 3 as a family. Our verdict? This movie is delightful, funny (my college kids were laughing all the way through), and the story line is a natural fit to the original plot. 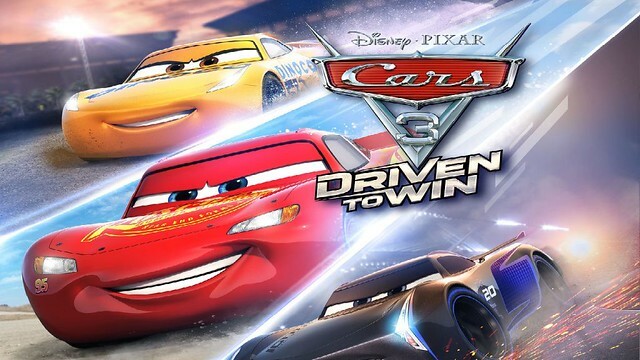 My oldest daughter (22) declared this her favorite Cars movie of the trio. We will definitely be adding this movie to our home collection. In Cars 3, all of our favorite characters from Radiator Springs return, although Doc Hudson has passed away. He lives on in the memories of his friends, especially Lightning McQueen. In fact, we learn more about Doc’s past and meet some of his old racing buddies. This was my favorite aspect of the movie as it really gave it heart. Lightning maintains a true respect for his mentor and that is endearing. He has not forgotten the valuable lessons Hudson taught him. I was happy to see that Lightning also retained the humility he had painfully gained by the end of the first movie. He was still appreciative of his sponsors, his fans, his friends and his career. He was a good sport in both his wins and his losses. He is now friends with some of his competition and they engage in playful comradery. I think Lightning McQueen makes a good role model! I won’t dive too much into the plot. In a way, it has a similar feel to Toy Story 3, from Andy’s point of view. Lightning has to face something we all do at one point or another- getting older and accepting natural change. This is where much of the humor comes in, and now that I’m being a bit philosophical, let me point out that humor can be a remarkable tool for us humans when we take advantage of it. Humor can actually help us through our personal trials by dialing down the rough edges of reality (or a perceived reality) and replacing it with a softer lining of hope, an attitude that “all is not lost”. Even amid the unexpected twists and curveballs life throws at us, there is still much to relish and enjoy. Plus, learning to laugh at ourselves keeps us from taking ourselves too seriously! It’s been a while since I’ve posted any movie reviews. These are the most recent ones we have seen as a family. I can recommend them all. Shortly after it came to theaters, we saw Fantastic Beasts and Where to Find Them. 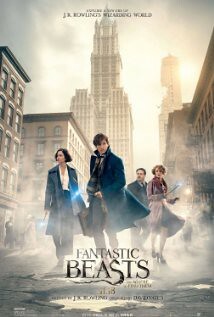 I can think of all sorts of words to describe this movie: magical, thrilling, adventurous, humorous, dramatic, intense… Harry Potter fans will love this movie (at least my Harry Potter fans loved this movie). I do think younger children might find some parts scary, so keep that in mind. It had some dark parts, similar to the Harry Potter movies. Moana was everything you’d expect in a Disney movie. It was absolutely delightful. This is a movie worth seeing and adding to your Disney collection. Moana is a strong character and Maui, voiced by Dwayne Johnson, is awesome. The rooster was hilarious! 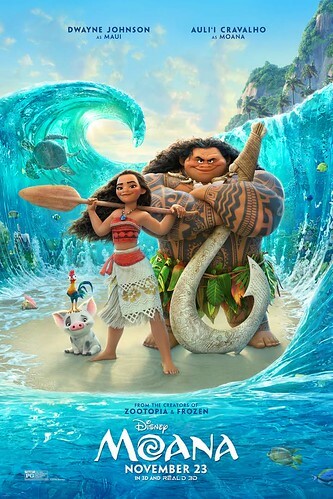 This movie shares the Polynesian culture with us. Another Disney hit. If you are unfamiliar with the Piano Gal, you are missing out! Here she plays three songs from Moana. Enjoy her talent! I’ve learned a new word: anthropomorphic. It means “human characteristics to non-human beings”. Sing, like Zootopia, features anthropomorphic characters. They are animals who live in a human-like world and have human-like problems. The story line felt rushed to my kids (they would’ve liked more of a background on each character), but the soundtrack was enjoyable and the characters likable. And just this past weekend, we saw the movie, Monster Trucks. This is a Nickelodeon film (teamed up with other productions of course). I’d say this movie could be a hit with tweens and young teens, but my family enjoyed it for its clean, fun action. It reminded me of the movie, The Water Horse, although in a lighter sense. 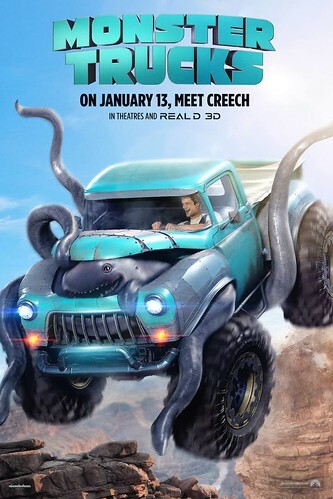 There could’ve been more story and character development, but Creech (the undiscovered sea creature) was lovable and there was plenty of action. The idea of a creature powering a truck will surely delight boys of all ages. My family and I saw the movie, Trolls, this past weekend. My daughter, Marissa, and I enjoyed it the most. My other kids thought it was “weird”, but I heard them laughing a few times. The theater was full of families with young children (and us, ha ha). Everyone there seemed to enjoy it by the amount of laughter we heard. Trolls are always singing, hugging and dancing. With all of those natural highs, they are filled with happiness and that is why the depressing Bergens want to eat them! After a Bergen steals Princess Poppy’s friends, she sets off to rescue them, with the help from another troll named Branch, who has lost his happiness. They have a musical adventure along the way. 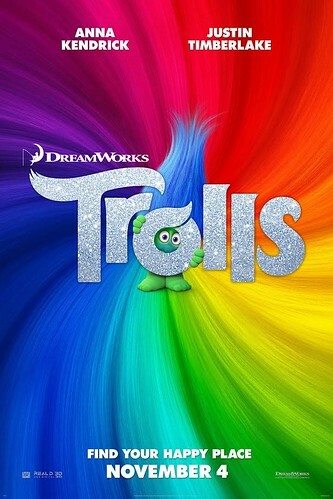 If you were familiar with Trolls as a kid, I think you’d like this movie. If you’re a kid who likes, Smurfs, I think you’ll love this movie. 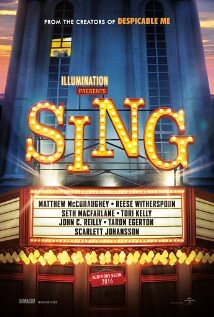 And if you appreciate animated musicals, I think you’d enjoy this movie as well (Think, Gnomeo and Juliet). I thought, Trolls, had a fun soundtrack.